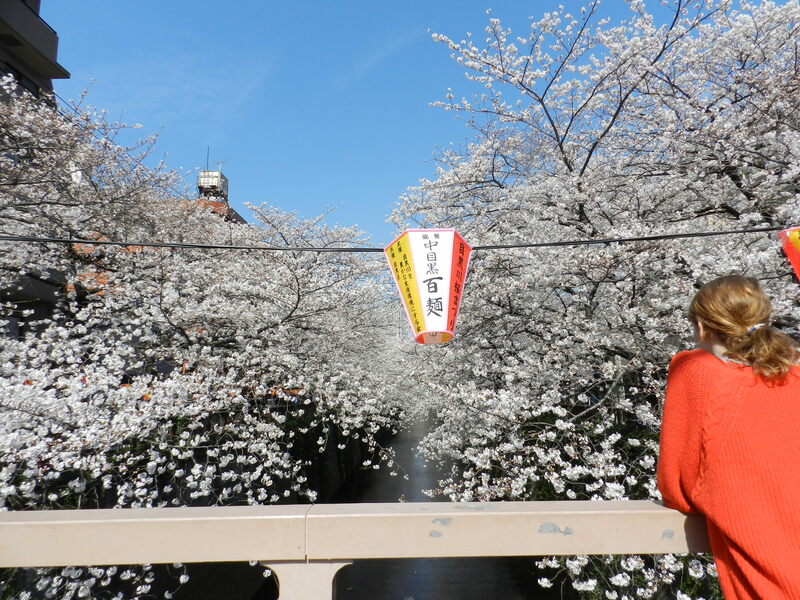 “Hanami” (flower viewing) season is a time when normal activity in Japan stops so everyone can hurry to their favorite sakura spot in order to lie under the cherry blossoms drinking sake, debating life`s mysteries with friends, or navel gazing in my case reminiscing on my great career failure. I had great hopes. For twenty years I struggled. I watched others step on my hands as they climbed up the rungs. Ever elusive was my success. My goal just within my reach. I planted and plotted. Many did what I failed to do. I was never able to start a corporate buzz word. I`ve always been an overachiever. How this could have been? I had such catchy candidates. 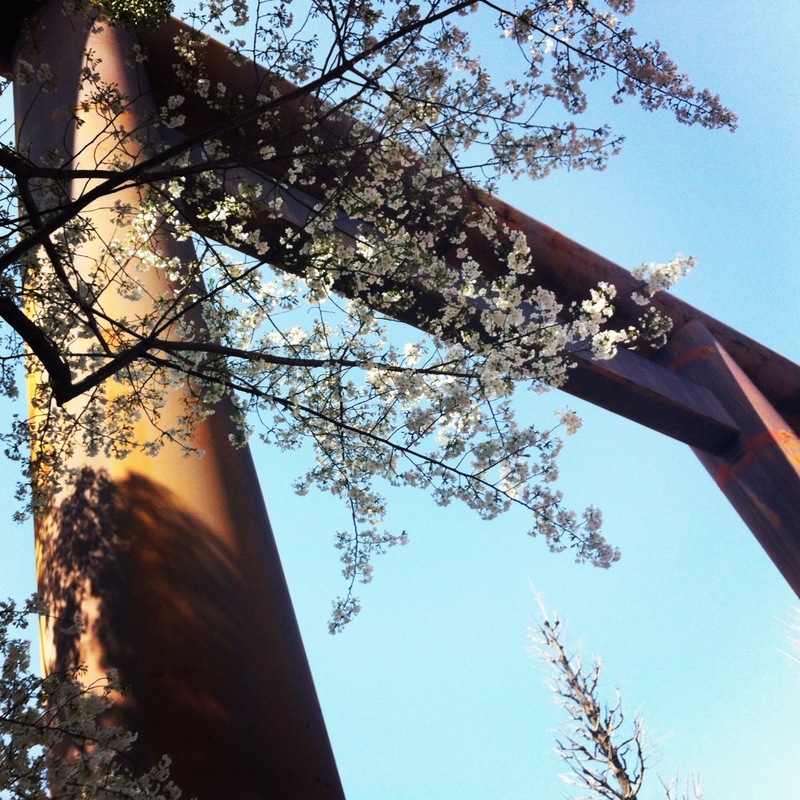 The cherry blossoms got me thinking again about my corporate failure. Stretched out on the blue tarp swirling the sake in the plastic cup. Thinking. So useful, my buzz words. I could apply them to every circumstance. 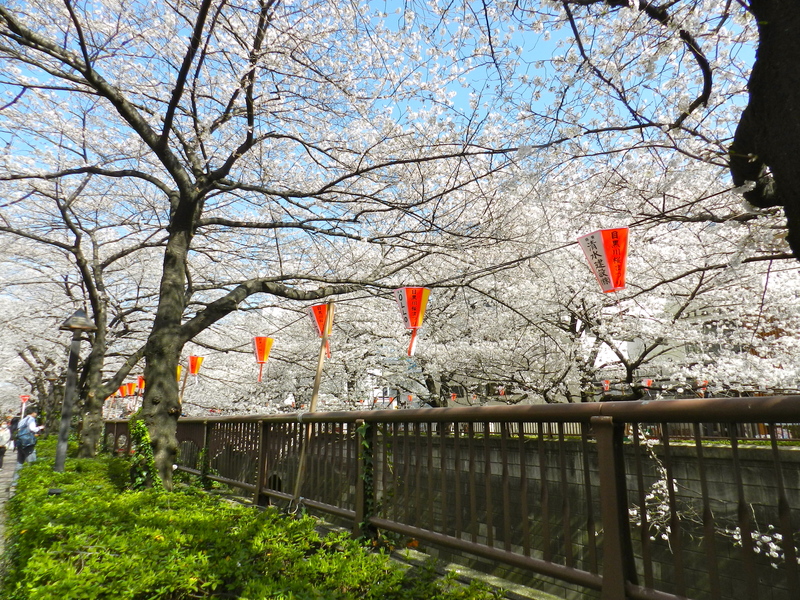 A side effect of Sakura flavored Sake is the effect it has on one`s IDIOLECT. (a person`s individual speech pattern. Imagine the fun at the office with this one.) Mine becomes more exaggerated and inappropriate for children after a few rounds of sake. A few shocking examples that made it. Vis a vis. I still can`t figure out what that means so I can`t use it. Spouse has tried to explain it to me several times. He`s much smarter than I. Now I will leave you with one of my favorite- enduring- MOTIFs- Fuji-san. My hair has finally reached the right height. I got a hair TSA pat down recently. 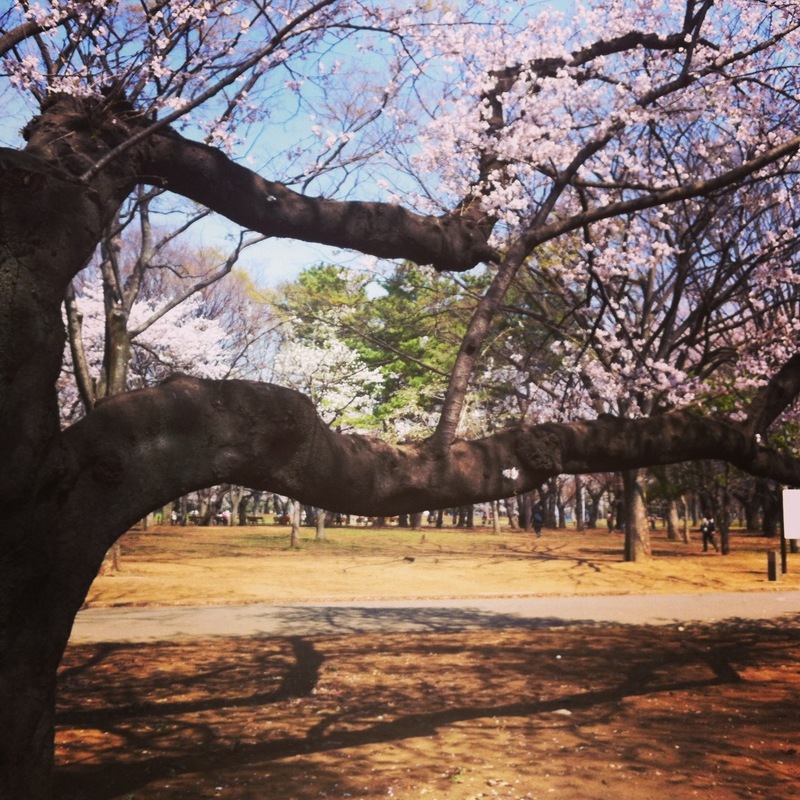 This entry was posted in Moving to Japan and tagged Amblerangel, Cherry Blossoms, Culture, Emily Cannell, ExPat, Family, Hey From Japan- Notes on Moving, Humor, Japan, Moving, Sakura, Tokyo, Travel. Bookmark the permalink. My Buzz word is simply “Smile”. Your picture and your commentary have been doing this since I first found your blog. As for Vis a Vis, listen to spouse, one day it will “click” and become “clear”. Enjoy your Sake and keep well. 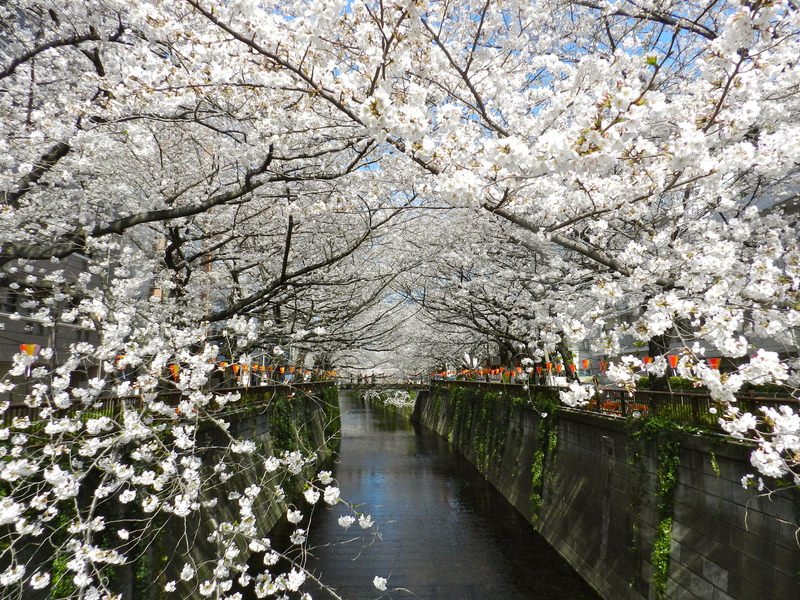 I don’t know if I have buzz word, but I love the pictures of Hanami. My favorite time of year . . . I miss it. You do- probably from your old days- academia is “immersed” in them. You`re just not as petty as I am. Your photographs are like a breath of fresh air on a cool, dark and wet morning here in Toronto. Our seasons are obviously a good month behind yours. Can’t wait for flowers! Judy- Your comment does not get me excited about moving to Montreal…..
Buzz words are critical to success. In hind sight I discovered you have to use others words in order for them to be willing to use yours. I was too bitter. My down fall. Budokan! The first cassette tape I bought when I turned 16 and got a car. My buzz word was “plethora.” Fun to say and makes for a good punch word when you’re on a rant…I guess I was the only one who thought so. Cornucopia. I tried that one also. People just thought I was weird. Which I guess was right. Bad breath? Kidding Barbara. You`re doings are definitely still a secret. The pictures are simply BEAUTIFUL! 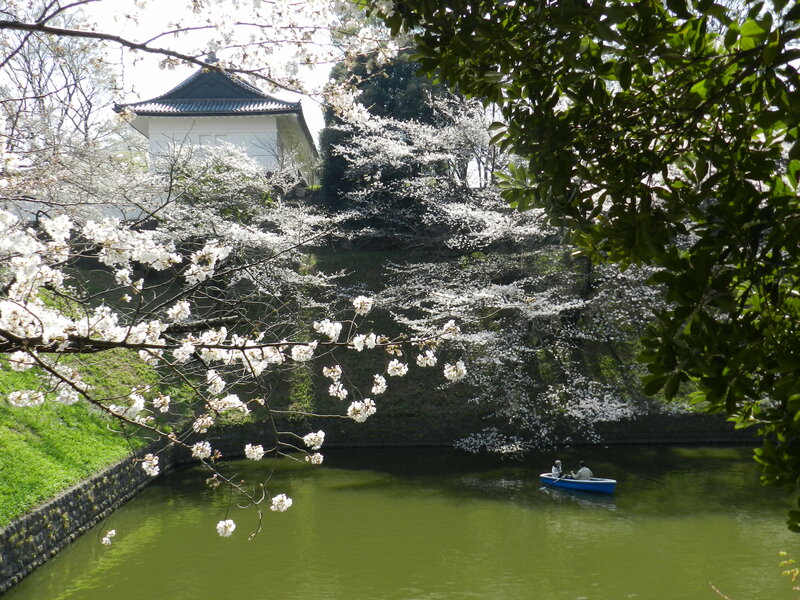 When I see this, I really get depressed looking at the spring weather here in Germany I would really like to go to Japan one time. I think it’s one of the most beautiful countries in the world. That it is! Don`t come in June. It rains the entire month. I couldn`t live in Germany- too much beer to drink. Thankfully I had a raw vege tray with which to Ruminate about my ill-timed wit and under-appreciated intelligence. Cheers! So thankful you pioneered the way (Vanguard?) so I could , well, maybe not make As Many mistakes. You will always be a CEO in eyes!!! Stellar- I hate the F–kg word. Thanks for reminding me. I remember that little incident now that you remind me. Crudite. Who calls vegetables that? Verbal sparring. That must be what we`re doing with our children because they are certainly not talking back. I`m glad someone thinks I`m great! A boss type last year issued a memo laced with corpspeak, including ‘I expect you to be operating at maximum throughput.’ Oh my. So very glad I’m not in the corporate world though the retirement would have been nice. Oh I like that. One I used to hear a lot was choiceful. Don`t see that in a dictionary very often. 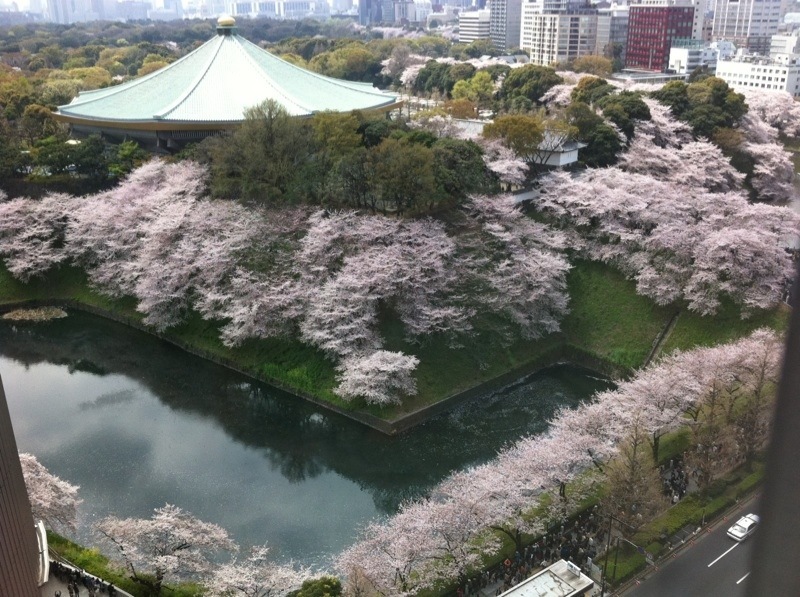 I came to Japan last year to see the cherry blossom. Sadly I got there too soon and it was not yet out in Tokyo, so I went to Kyoto only to find it came out the week before I arrived. Elusive or what? Still I had a great trip and your photos help show me what I missed. 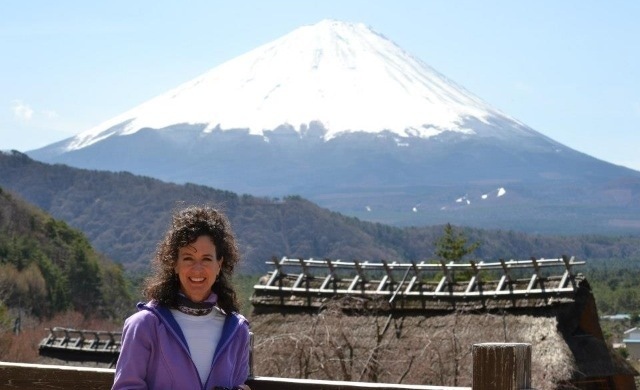 My buzzword is GrumbleSmiles — go there and look up ” Japan Odyssey” — you will see what I mean. Thanks for an excellent blog. Cherry Blossoms are notorious for that. There should be some sort of catchy nickname for that too- I`ll have to think on that….. I`ll take a look at Japan Odyssey- it`s not going to land me in jail is it? Live at Budokon! Tell your spouse I got that right, we used to yell that! (he’s my big bro). I love this post, if you want I’ll try to kick off some of these at my work. Except vis a vis, I don’t get that either . You are in an environment RIPE for this sort of thing. I can live vicariously through you. Gambate. Beautiful pictures, great memories. Thank you! 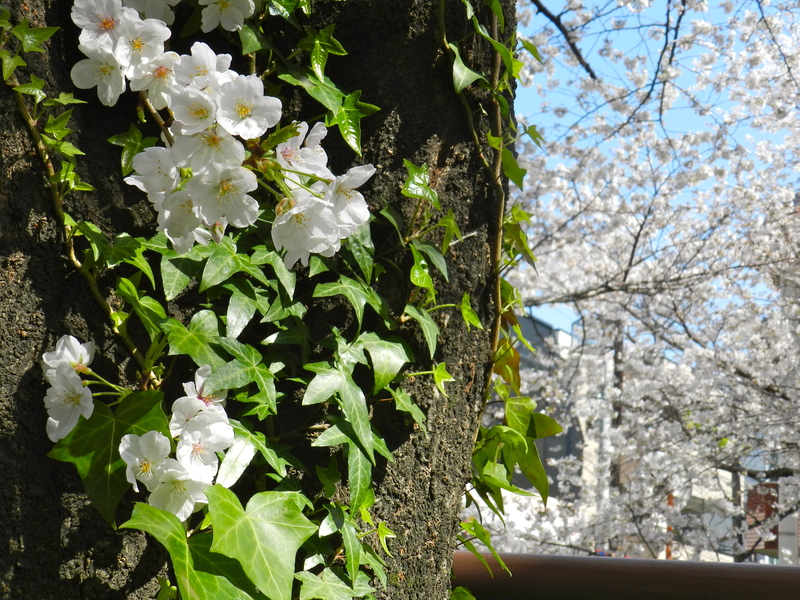 Now that the cherry blossoms are over I got a new camera. I don`t want you to be too terribly sad so I took the pics with my bad old camera. How did you know how to spell that? Calm and better place- I like that too Saffronmaker! Buzz word? Hmmmmmmmm Will have to ask Sara if I have one. Sorry to have been away so much recently. I’ve been busy moving, moving, moving. We leave for Ecuador two weeks from today! I promise an actual post tomorrow! It’s been nearly two months since I’ve written. Yikes! I know! I keep checking thinking I got dropped off your list. I know it`s been busy. I`m just dying to hear what`s going on! Hang in there! Montage makes me laugh too; but only because it reminds me of the song from Team America, which then proceeds to play in my head. Beautiful pics, though. First one was gorgeous! Thanks LW! Unfortunately it does…. OK – here’s mine, palimpsest. We used to vie with each other to see how many times we could get this into our lectures! Oh- I like that. I like that a lot. I`m going to use that one today and see what happens. I always want to go to Japan, but never have a chance. After seeing these wonderful photos, I really think I should pay a visit to it next summer. 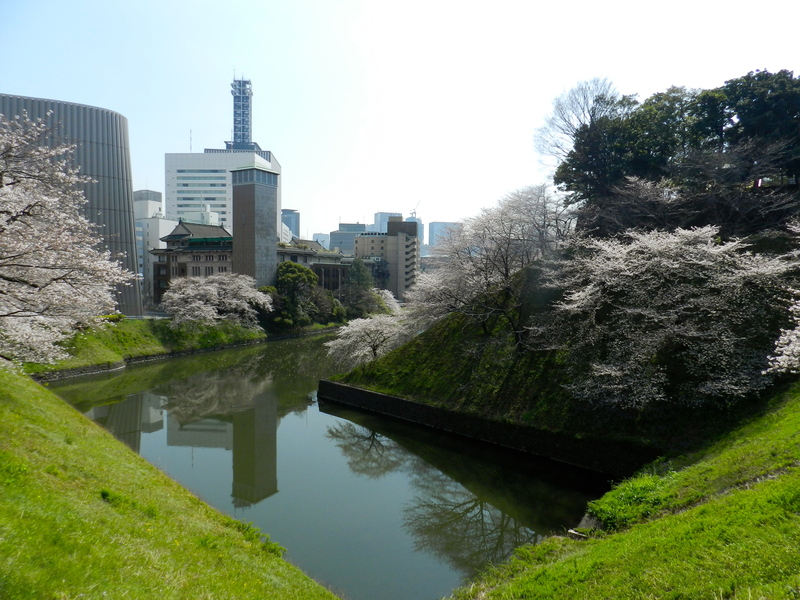 The North-Eastern moat of the Imperial Palace known as Chidorigafuchi is one of the most famous cherry-blossom viewing spot in Tokyo. 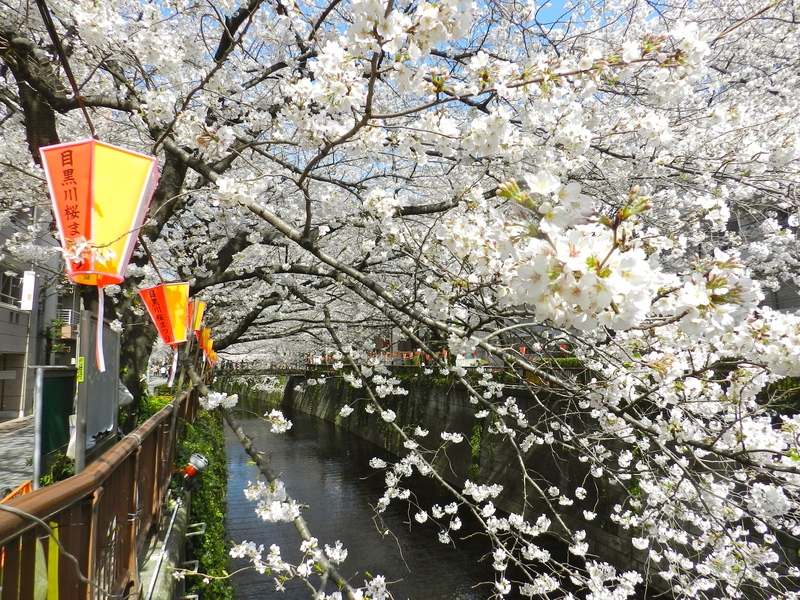 Crowds gather between Kudanshita and Hanzomon stations to contemplate the snow-white blossoms. If it’s possible, you should visit that as well.